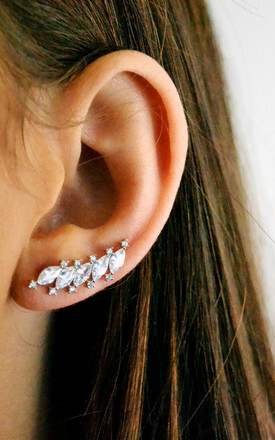 STERLING SILVER LEAF CZ EAR CLIMBERS, CLIMBER EARRINGS. 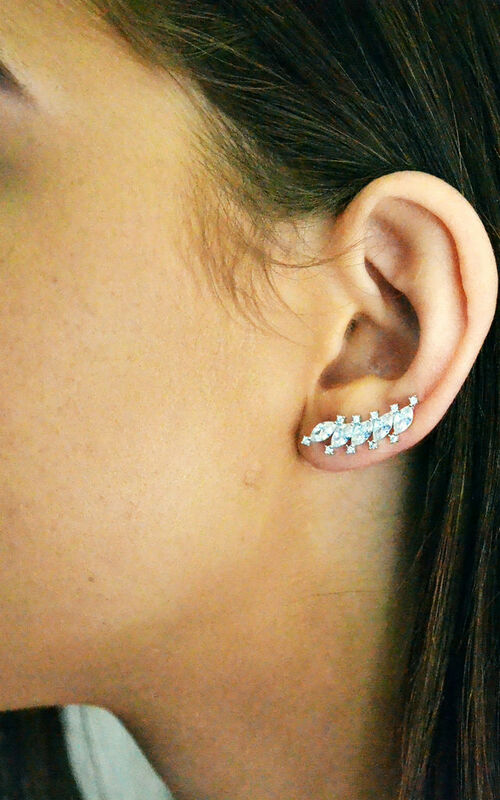 Kusuz Sterling Silver tree leaf CZ ear Climbers, leafy Climber earrings. 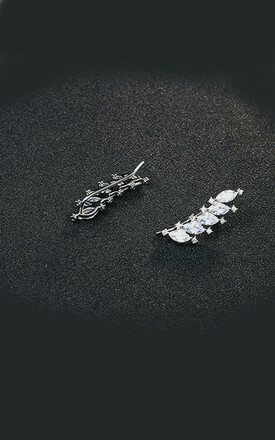 This Gorgeous best seller tree leaf CZ earrings leafy climber stud is crafted in 925 sterling silver and cubic zirconia. will hold earring upwards tightly. It has been carefully design to enhance your outfits in any seasons. 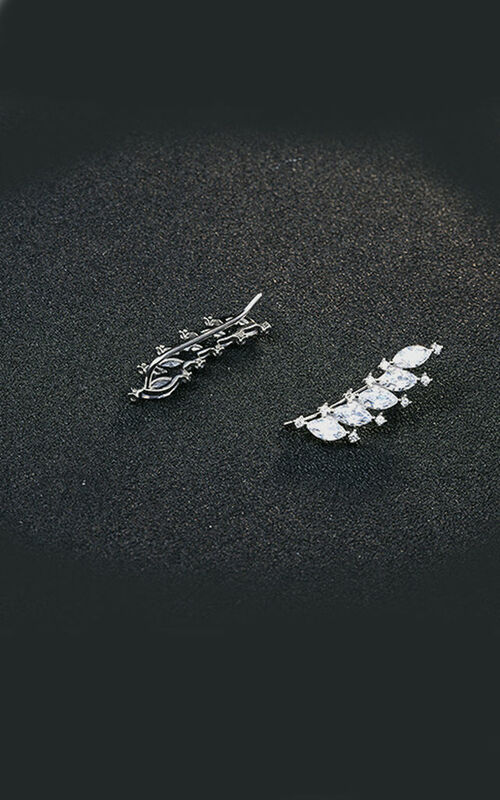 These earrings will make your day perfect specially in summer and winter. It will uplift your look in any occasion or parties, Date night or wedding, day outing or evening. FASTENING: long post hook style. We create Unique, Limited Edition, Real Flower and Cherish Moments Jewellery. We Specialise in Personalised Bespoke IMPRESSION and CREMATION Jewellery.